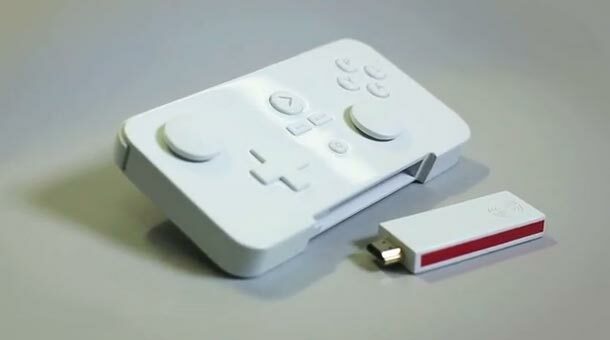 Hot off the back of its recent Kickstarter success, PlayJam, the company behind GameStick – the world´s most portable TV games console – today launched a pre-order service via its website www.gamestick.tv. Powered by Amazon, the service enables anyone who missed out on the opportunity to get their hands on a GameStick during the Kickstarter campaign to jump the queue ahead of a global retail launch in a few months time. Pre-ordered devices will ship immediately after fulfilment of the initial Kickstarter run in April and will maintain the $79 price point. “January was a pivotal month for GameStick with the success of the campaign ensuring that we could bring the device to life.” Said Anthony Johnson, CMO PlayJam, “Since the campaign closed, we have received thousands of e-mails from individuals keen to ensure they remain one of the first to receive the product. By continuing to offer GameStick on pre-order, we will be able to maintain momentum ahead of our planned retail activity”. The standard GameStick bundle is listed at $79 with a case and dock supporting a wide range of peripheral devices are listed at $9.99 and $24.99 respectively.